During the summertime, we usually envision children running through sprinklers, learning new skills in camps, playing with friends, and eating hot dogs by the pool. For many children, sadly, this picture is a stark contrast to reality. Many children from low-income backgrounds instead spend their summers alone at home while their primary caregivers are away at work, without access to food. Summer is not always as carefree as we may think. In the Dallas community, childhood food insecurity is a serious problem. Recent data indicate that 26% of children are uncertain about their next well-balanced meal. During the summer months, children do not have access to school lunches and school breakfast programs that provide nutritious meals throughout the school day. Instead, they are left unsupervised and unaware of when they will be eating their next meal. Fortunately, there are programs that help. One is the Summer Meals Program, a federally-funded but state-run program, which provides free, healthy meals to children and teens ages 18 and younger in low-income areas during the summer months when school lunches are no longer available. The Summer Meals Program not only offers nutritious meals in a safe setting, it also offers engaging enrichment activities for children and teens learn and play together, creating for healthy summers. The program also provides an opportunity for federal government, state agencies, schools, faith-based agencies, and nonprofit organizations to come together to combat hunger at the community level. Since the level of need has increased over time, the number of organizations is also rapidly increasing with 18 added sponsor organizations in 2015. And in Dallas, cooperation among these programs is working well. While the Summer Meals Program is growing over time, only 24.5% of eligible children and teens participated in the program in 2015. Much of this low percentage is due to barriers to the accessibility of feeding sites. We must work to increase the accessibility of these sites to bring this program’s success to more needy children in Dallas. 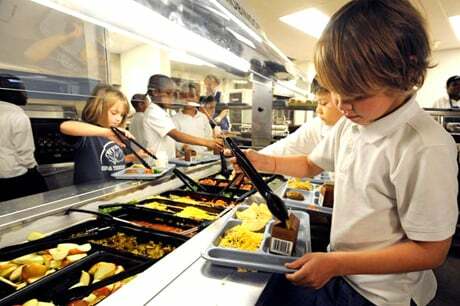 Right now, Congress is deciding the fate of Child Nutrition Reauthorization legislation. While the bill is trying to address the problem of childhood hunger, the bill currently up for debate in the House of Representatives does not properly invest in programs like the Summer Meals Program. Furthermore, there are several provisions that concern me in the Child Nutrition Reauthorization legislation. Instead of reducing hunger and food insecurity, this bill instead makes it harder for effective community programs to serve our most vulnerable populations. As the chair of the Dallas coalition for Hunger Solutions, I am committed to doing everything I can to eliminate hunger in the Dallas and North Texas areas. This summer, remember that these months are not as relaxing for every person out there, and get involved in ending hunger in Dallas, proving how useful these community programs are. To locate the nearest summer meals site, call 2-1-1, text FOODTX to 877-877, or visit www.summerfood.org.